Iranian Foreign Ministry Spokesman Bahram Qassemi says the provocative, meddlesome, and undiplomatic comments made by US Secretary of State Mike Pompeo in Lebanon are indicative of Washingtons excessive outrage over the Lebanese nations unity and solidarity. 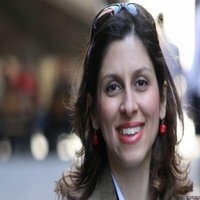 The provocative, meddlesome, and undiplomatic remarks made by the US Secretary of State in Beirut once again revealed Washingtons patronizing attitude and behaviour towards other free and independent countries and freedom-seeking nations of the world, Qassemi said in a statement on Sunday. Such stances and comments, on the one hand, stem from the failure of Washingtons destructive policies and excessive demands in the region, and on the other hand indicate the dissatisfaction and excessive outrage of the irrational rulers of the country over the popular solidarity and unity in Lebanon and the restoration of calm and stability in the Arab state, especially after the formation of its government, Qassemi noted. The Iranian spokesman pointed to Pompeos comments against the Lebanese resistance movement Hezbollah, and lashed out at him for making such rude and unwise remarks and raising baseless, false, hackneyed, and futile claims and accusations against a major political and legal part of Lebanon while he was visiting the Arab country. Qassemi said Hezbollah enjoys the popular backing of a lions share of the Lebanese nation, and accounts for a major part of the pillars of the countrys government and parliament. He further referred to Washingtons long-lasting policy of intimidating regional governments, and said, Now that it has failed to realize its ominous goals in the sensitive region of the Middle East, the US is resorting to the worn-out, hackneyed, and outdated trick of intimidating and threatening others in a bid to impose its hegemonic policies and behaviour. 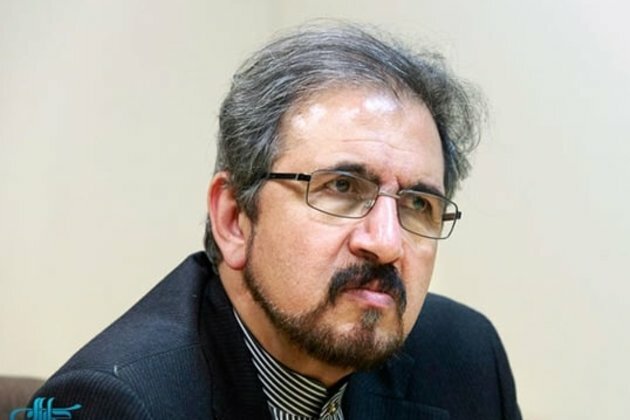 Qassemi pointed to the US governments decision to relocate its embassy in Israel to the Holy Quds and recognize the fake Zionist regimes sovereignty over the Golan Heights, which is a blatant violation of the internationally accepted norms, laws, and regulations, and said Pompeo has been sent to the region in line with the same decisions. These indicate that the US government, accompanied by a few of the regional countries, intends to implement new plots and provide as much support as possible for the usurpers of the Holy Quds while ignoring the violated rights of the Palestinian people through the so-called Deal of the Century, he added. Given the necessity of maintaining stability and calm in the region, the Islamic Republic of Iran underlines the [need for] reinforcement of convergence and cooperation among regional countries in fight against the Zionist regimes expansionism and aggressions and in campaign against terrorist groups, Qassemi said. While respecting the government and nation of Lebanon and the independent will of the country, Iran stresses that it will tap into all its capacities in order to promote internal solidarity and unity in Lebanon, and to reinforce bilateral ties with the country in issues that are in the interest of the Iranian and Lebanese people, he added. Qassemi said Tehran totally understands the US outrage over the praiseworthy performance and role of the resistance forces, the Hezbollah, and the wise people of the region, and all those who foiled the US new colonialist and ominous plots in the region. During his visit to Beirut, Pompeo urged Lebanon to pick a side, and especially expressed concern over the role of Hezbollah, a movement that is targeted by US sanctions but holds three cabinet posts in Lebanon. Lebanon and the Lebanese people face a choice: bravely move forward as an independent and proud nation or allow the dark ambitions of Iran and Hezbollah to dictate your future, he said during a joint news conference with his Lebanese counterpart. The US will continue to use all peaceful means, everything at our disposal to choke off the financing, the smuggling the criminal network and the misuse of government positions and influence, by Hezbollah, he said. We will not hesitate to call out those who actively and passively support those activities. His Lebanese counterpart, however, rejected Pompeos comments, and said Hezbollah is a Lebanese party, not a terrorist group, and it enjoys a wide popular base. In an earlier meeting with Lebanese President Michel Aoun, Pompeo conveyed his worry over Hezbollah. He stressed the US governments strong concerns over the role of Hezbollah and Iran in Lebanon and the region and the risks this poses to Lebanons security, stability, and prosperity, US deputy spokesman Robert Palladino said.